Are you in a panic situation where you inserted your car key into the ignition, turned the key and realized that it wouldn’t turn or come out? It can be scary to be in such a situation as there is always a fear of breaking the key in the ignition which can become a headache and can also cost a lot more than expected to get it fixed. While this indeed is a problem and not very typical, there are some factors which make it normal for the key to getting stuck and not come out as a safety measure built into your car by the manufacturer. In any case, it is better to not wiggle the key and forces it to turn or even come out as you might break it inside which will cause you additional damage. 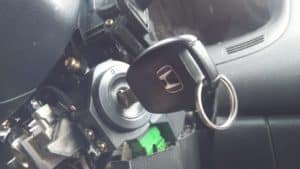 Even if you do get the key out in one piece by forcing it, there is a chance that you might have done some internal damage to the locking mechanism of the ignition while trying to take the key out. Before panicking and calling for help, there are a few things you can check to make sure that those aren’t the factors keeping your key inside and not allowing you to take it out or turn it. In automatic transmission cars, there’s a feature purposely included in the vehicle by the manufactures that if the vehicle’s transmission is not in the park position, the ignition mechanism locks the key in place, not allowing the driver to take it out. This feature ensures that the driver doesn’t accidentally forget his or her car in drive, neutral or reverse gear and leave. Since the gears are only engaged when the vehicle in on, in an automatic transmission, the car can move freely if the transmission is left on the drive or reverse even, with the hand brakes disengaged. This also ensures that the driver doesn’t accidentally take the key out if the vehicle is in the park, but the engine is running. This is a problem with the key. It often happens that with frequent inserting and taking the key out of the ignition, the core tends to bend but ever so slightly. If you are using a duplicate key, this can make the key bend more and quick as the quality of duplicate keys isn’t the same as the original key. If this is the case, you need to carefully take the key out without wiggling it too hard so that it doesn’t break inside. Once the key is out, it is better to dispose of the bent key off as it can get stuck again in the future and you might not be so lucky to take it out back in one piece. Rust on the key will make the surface which goes inside the ignition rough, causing it to get stuck, if your key shows signs of rust, get it cleaned. It isn’t usual for original car keys to get rust on them as they are made up of stainless steel. If your duplicate key is rusted, dispose it off and use a new key. Built-in as a safety feature to prevent theft, car manufacturers design the steering assembly in such a way that when the steering wheel is rotated without the engine on or the key being in the ignition without being turned, the steering wheel locks after a little rotation, preventing theft as, without the key, the steering will stay locked. The ignition has multiple steps which are accessed with the help of the key turned at different levels. If the key inserted and turned up a stage, the steering column is unlocked. But if the key is inserted but not turned at all, the steering column will lock similar to how it would if the key isn’t in. The key inside not turned makes no difference from when there isn’t any key in the ignition. So make sure your steering wheel is not locked when taking the key out. This is something which happens in some cars only. Mostly in newer cars. This is also featured as a safety feature in cars that the key locks up if the battery isn’t putting out the necessary power to the computer of the car. Since most new cars are almost computer controlled, the computer of the car locks the key in place if the system stops getting power from the battery. In such a case, you can check the status of your battery by switching on the headlights or the car’s radio. 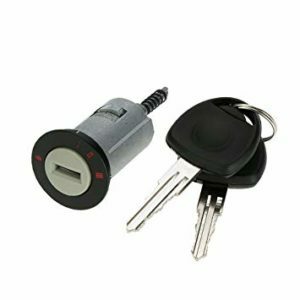 If the lights or the radio doesn’t come on, your battery is out which is why you are unable to take the key out. Don’t force the key out and either wait for someone to help you jumpstart the car or get your battery replaced. If all of the above issues are addressed but you are still unable to get the key out, there is likely a problem with your car’s ignition assembly. In such a case, there is nothing much you can do, and you will need to call a professional to open up the ignition assembly and extract the key from there. Don’t try to force the key out as it is always advised to prevent additional damage to the ignition assembly. Sometimes, even though your car is in the park, the key doesn’t seem to want to come out. In that case, before trying other ways to take the key out, cycle your shifter through the other gears and come back to the park position. Sometimes the position of the key gets stuck, and this will release it if there was any obstruction. If you are still unable to get the key out after addressing all the potential causes, it is better to let a professional do the job for you. There are several different things you can try in a situation when your key is stuck in the ignition. However several of these require some tools, and in many situations, your best bet is to let a mechanic take a look at it instead of breaking the key in the ignition, which will most likely result in even more expensive repair costs. A common problem when your key is stuck in the ignition and when you can’t start the car is that the car battery is dead or low on voltage. Charge your car battery for some time with a car battery charger to make sure that it’s a low voltage problem. Low voltage can cause the ignition lock not to release the key. If you have an automatic car, you do most likely need to have your shifter in the Parking position to get the key out from the ignition. This can also be caused by a faulty shifter switch, where the car thinks that the shifter is in another position than it’s actually in. 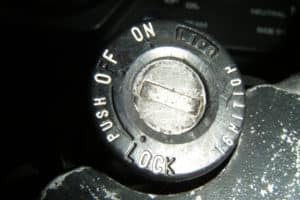 A lot of American and Japanese cars do have an extra lock switch inside of the ignition where you have to press in the key together with a button to rotate it further to remove the key. Check your car manual to make sure you are doing it the right way. 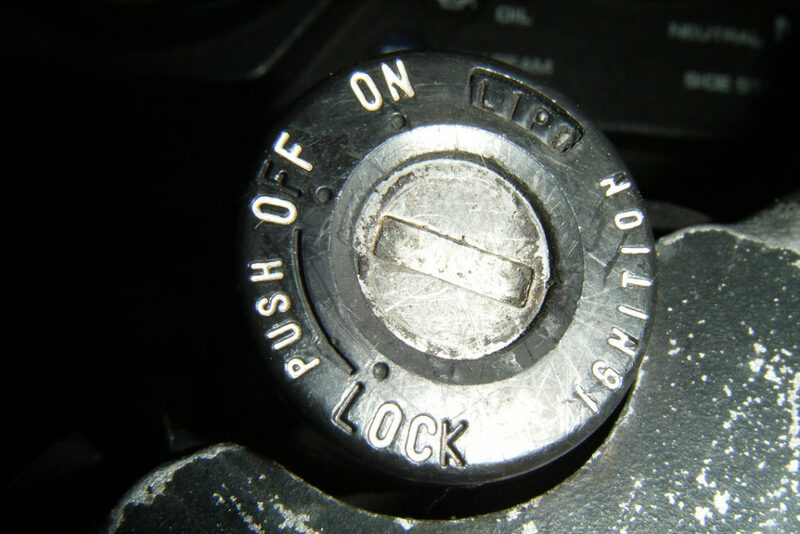 Often if the key or the ignition lock is worn, it can be enough to spray any oil inside of the ignition lock. This can be pretty tricky because the key is blocking the way, but with a spray bottle with a pipe, it’s possible. If you have an OBD2 scanner at home, you can try to read the trouble codes from all different control units to check for any related problem with the shifter or any fuse that may cause this problem. You do often need to have a more advanced diagnostic scanner to read the trouble codes from the immobilizer and the ignition switch. If you have tried everything above, you do not have much choices left than calling your local mechanic workshop and let them take a look. In a lot of cases, it’s the ignition lock that is failing, and it has to be replaced. In some cases, the immobilizer is integrated with the ignition switch and you have to reprogram this after a replacement. I guess you have got the information you need to solve this problem in a panic situation. If you want us to add anything to this article or have any other questions regarding this topic, you are welcome to leave a comment down below, and we will try to answer your questions as fast as possible.